The Happy Church resides in Jackson, KY, one of the most impoverished communities in the United States. Horizon partners with Happy Church to feed the hungry, distribute school supplies, and work on community projects. Our trip begins with 2 days at the Black Bear Lodge where we'll spend our first day at Thrillsville and our second day exploring some of the walking trails and wonders of the Red River Gorge area. 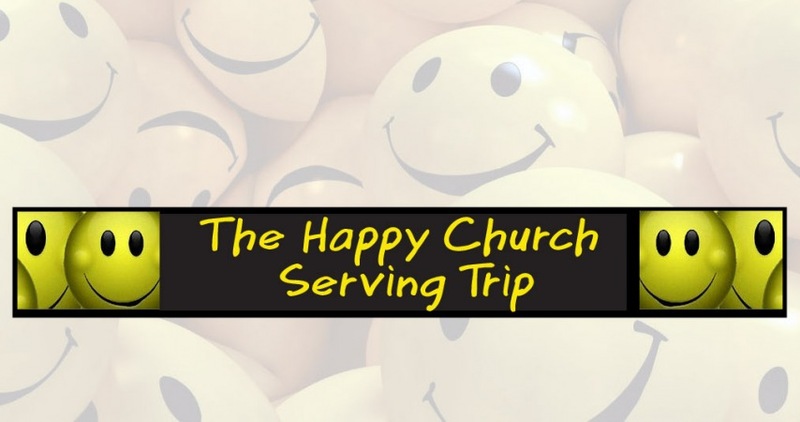 Tuesday morning we'll wake up and head to Happy Church where we'll continue our week by serving alongside The Happy Church staff. Open to students who have finished Freshman through Senior years in the 2016-2017 school year, as well as any parents who would like to chaperone. Happy Church, 43 Happy Lane, Jackson, KY, 41339 (3 hours from Cincinnati). RSVP by Thursday, June 1st. If you are interested in going on the trip and it is after the RSVP date, please contact Ryan Ventura.